Looking for a lakefront weekend getaway place or a casual waterfront home? Look no further. This wonderful lakefront property has approx. 177' of stabilized shore line, beautiful lake views on a .48 acre lot with pier and floating dock. Step inside this quaint bungalow~cottage style home with 3 bedrooms, 2 baths, open floor plan with living room, kitchen and dining area. Master bedroom located on the main level with a finished basement that boasts a den, 2 bedrooms and a full bath. 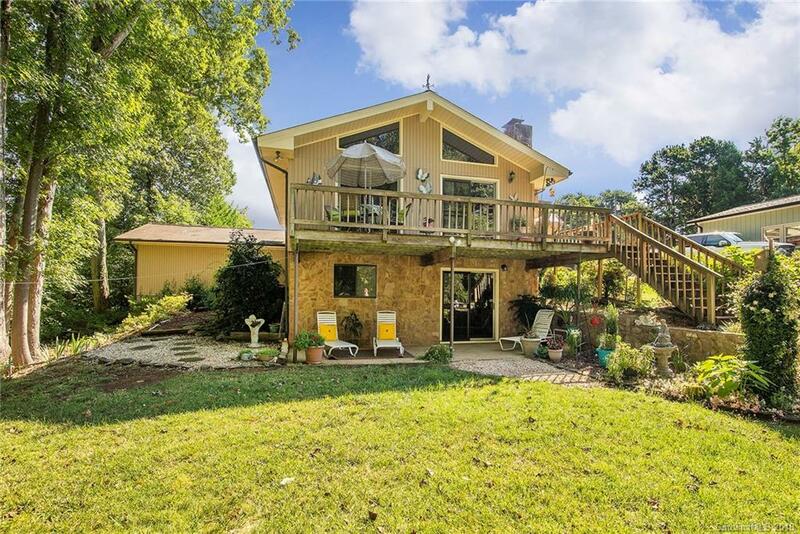 Enjoy your evenings from the back deck overlooking your charming piece of lake living. You’ll appreciate all the space in the detached 2 car garage. GREAT FIND! Quiet lake community. No HOA fees! Could this be the lake retreat you've been waiting for? Nearby the new Publix grocery store and easy access to Denver and Mooresville. Low Catawba County taxes. Congratulations, you have found a home you will LOVE!